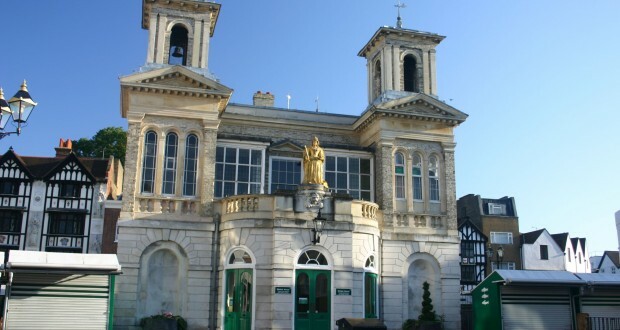 A PETITION to save a historic building in Kingston Town Centre has gathered nearly 8,000 signatures in over a week. The Kingston Market House is scheduled to be converted into an upmarket pizza restaurant later this year and has raised concerns on what impact it is going to have from the independent traders who are currently occupying the building. Eva Veliotou, a trader and petition creator, said to The Surrey Comet: “KMH should be free to the public to appreciate rather than having to ‘buy into’ an external chain to view. “It is a unique visitor attraction for a Royal Borough that adds character, an identity and a reason to visit from the surrounding areas that already have chain restaurants and shops. The business move by, The Stable Bar, has created controversy since the chain proposed moving into the premises earlier this year. Many local residents have voiced their concerns that Kingston already has enough restaurants and may possibly even kill off the market place. Back in February, The River reported how students and lecturers at Kingston University had unclear reactions on what kind of impact the change would have upon the building and its historic significance to Kingston. Recently Kingston Council’s leader, Kevin Davis, highlighted the Market House’s significance to the town’s community but the building itself had “struggled” to be a tourist attraction. The Market House is currently inhabited by small, independent businesses that sell handmade arts and crafts products, and a tourist information centre. The petition can be found on the campaigning website, change.org, and needs at least 10,000 signatures before it can be eligible for a debate at Kingston Council before the closing date of March 21. The petition’s total currently stands at 8,594. Sign the petition is here.